Typical rural house made of wood and stone. It was built in 1800 and reformed in 2008. It has 250 square meters in three different floors. In the ground floor you can find the kitchen: spacious and completely equipped with all kind of electrical appliances, and also a bathroom. But the main part of the ground floor is the living room, the reference point of the house, a perfect place for meetings, celebrations, etc. You can also find a door that opens onto a beautiful courtyard. 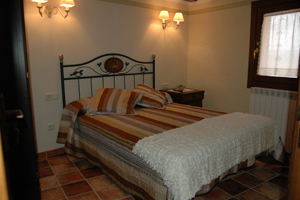 In the first and the second floor you can find two double rooms with TV and a completely equipped bathroom in each one. 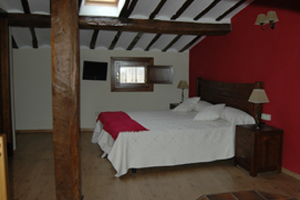 The third floor is the penthouse, a beautiful and spacious double room with TV and a complete bathroom.